Several people were injured and at least one person killed after a tornado roared through Tulsa, Oklahoma. Tulsa police said the death occurred inside a mobile home park near suburban Sand Springs on March 25. The park was nearly destroyed in the storm. “It could have been much worse,” Sheriff’s Capt Billy McKinley said. It was unclear whether the damage was caused by the tornado or just high winds. Billy McKinley said the exact number of people hurt was not known. Tornadoes were seen elsewhere in Oklahoma, as well as in Arkansas, but no injuries were reported from those. 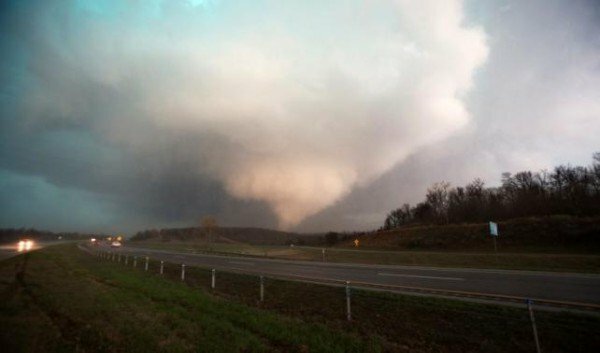 Until March 24, when a waterspout formed over an Arkansas lake, the US had not had a tornado in more than a month, marking a slow start to the season. Typically more than 100 tornadoes are recorded in the US by this time each year, but as of last week only two dozen had been reported.